A new study in rats shows that certain vesicles (exosomes) released from stem cells appear to protect cells in the retina, the light-sensitive tissue in the back of the eye. The findings, published on January 26, 2017 in Stem Cells Translational Medicine, point to potential therapies for glaucoma, a leading cause of blindness in the United States. The study was conducted by researchers at the National Eye Institute (NEI), part of the National Institutes of Health. The article is titled “Bone Marrow-Derived Mesenchymal Stem Cells-Derived Exosomes Promote Survival of Retinal Ganglion Cells Through miRNA-Dependent Mechanisms.” Exosomes are tiny membrane-enclosed packages that form inside of cells before being released. Long thought of as part of a cellular disposal system, scientists have more recently discovered that exosomes can be packed with proteins, lipids, and gene-regulating RNA. Studies have shown that exosomes from one cell can be taken up by another by fusing with the target cell’s membrane, spurring the target cell to make new proteins. Exosomes also facilitate cell-to-cell interactions and play a signaling role, prompting research into their potential therapeutic effect. In the current study, Ben Mead, Ph.D., a post-doctoral fellow at NEI, investigated the role of stem cell exosomes on retinal ganglion cells, a type of retinal cell that forms the optic nerve that carries visual information from the eye to the brain. The death of retinal ganglion cells leads to vision loss in glaucoma and other optic neuropathies. Stem cells have been the focus of therapeutic attempts to replace or repair tissues because of their ability to morph into any type of cell in the body. On January 25, 2017, researchers with Exosome Sciences, Inc., a diagnostic subsidiary of Aethlon Medical, Inc. (Nasdaq: AEMD), a therapeutic technology company, today announced plans to initiate a clinical study involving retired National Football League (NFL) players and a data-supported biomarker candidate to detect and monitor Chronic Traumatic Encephalopathy (CTE) in living individuals. CTE is a neurodegenerative disease that has often been found in American football players, boxers, and other individuals with a history of repetitive head trauma. 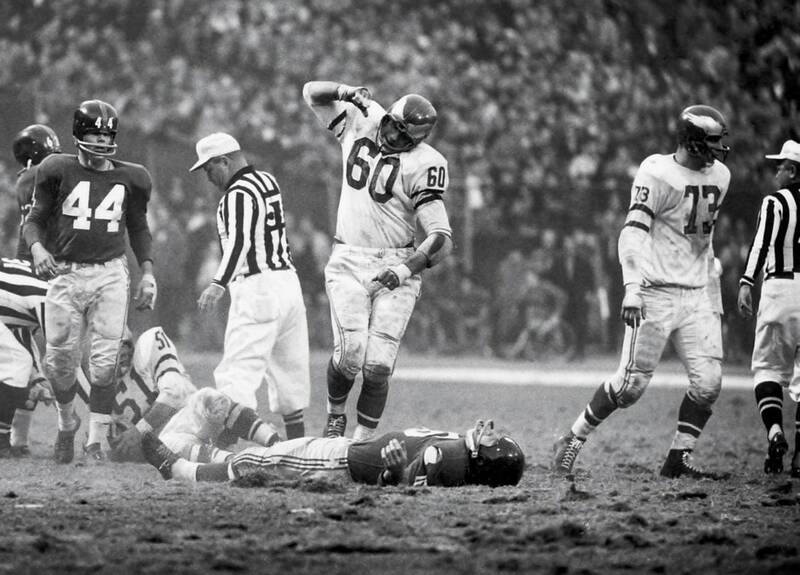 At present, CTE diagnosis is determined after death through an analysis of brain tissue. Planned for initiation in the second quarter, the study intends to establish a clinical collaboration with up to 200 former professional football players and clinical investigators at multiple U.S. locations. If fully enrolled, the study would be the largest to date in former NFL players, who are at a high risk of suffering from CTE. The goal of the study will be to further validate a CTE biomarker candidate known as plasma exosomal tau, or a TauSome™. The biomarker was previously studied as part of the first NIH-funded CTE research program (The DETECT Study), which was managed by the Boston University (BU) CTE Center. Kendall Van Keuren-Jensen, Ph.D., Co-Director of the Translational Genomics Research Institute's (TGen) Center for Noninvasive Diagnostics in Phoenix, will serve as principal investigator for the planned study. Dr. Van Keuren-Jensen is neurodegenerative disease thought leader whose research includes discovery and detection of biomarkers for central nervous system disorders. This year’s Precision Medicine World Conference (PMWC) in California’s Silicon Valley (January 23-25) (http://www.pmwcintl.com/2017sv/) kicked off with a Sunday evening awards presentation that recognized the major contributions of four prominent scientists. Pioneer Awards were presented to James Allison, Ph.D., Chair of Immunology at the University of Texas MD Anderson Cancer Center for his seminal work in the areas of immunology and immunotherapy for cancer, and to Stephen Quake, Ph.D., Professor of Engineering, at Stanford University for his work in biological measurement and in genomics. 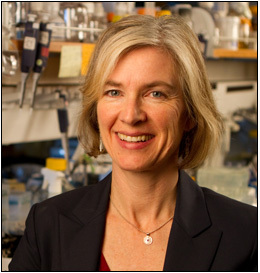 Luminary Awards were presented to Edward Chang, M.D., Associate Professor of Neurological Surgery at the University of California-San Francisco, for his work in developing advanced neurophysiologic brain mapping methods of both speech and motor circuits to enable safer neurosurgery techniques, and to Jennifer Doudna (photo), Ph.D., Professor of Chemistry and Molecular and Cell Biology at the University of California-Berkeley for her work in launching the revolutionary field of CRISPR-Cas9 gene editing. Dr. Allison was one of the first to identify the T-cell receptor and he showed that the CD28 molecule acts as the T-cell’s gas pedal, and in 1995 he identified the T-cell’s brakes. This work led to the development of the antibody drug ipilimumab that targets CTL-4, blocking the T-cell brakes and unleashing a strong immune response that has proven effective in cancer therapy. Dr. Allison’s body of work underpins the tremendous recent advances in immunotherapy for cancer. Dr. Quake has pioneered innovative approaches to biological measurement, including the invention of microfluidic large-scale integration, the biological equivalent of the integrated circuit, which has enabled large-scale automation of biology.